Continuuity, the big data PaaS startup that’s been busy open sourcing various pieces of technology over the past several months, is taking the plunge and going totally open source and is changing its name to Cask. The company’s flagship technology, Continuuity Reactor is also getting a name change and will be referred to as the Cask Data Application Platform (CDAP). The plan calls for Cask to roll out three options CDAP Free, CDAP Standard and CDAP Enterprise. The enterprise version will include extra maintenance, updating and security features while the free version comes with just the bare essentials, according to CEO Jonathan Gray (pictured above). Cask’s CDAP platform was something that needed time to percolate as proprietary technology before it was able to be unveiled to the open source community, said Gray. The startup decided that now was the time to open source all of its technology and build a community so that it can expand its reach, said Gray. 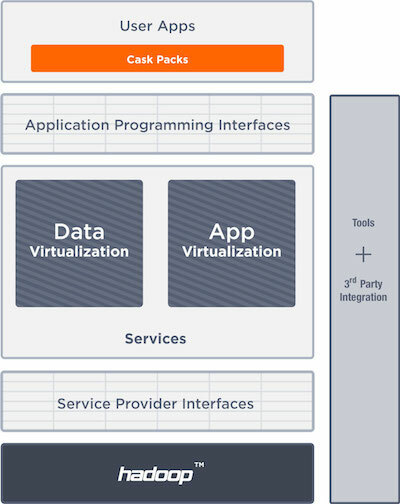 Considering that a lot of Cask’s customers are already customers of other open-source-oriented companies like [company]Hortonworks[/company], they are already used to the idea of buying subscriptions so the news of Cask’s open source endeavor shouldn’t come as a total shock. Gray said that the company chose the name Cask because it’s “short and sweet” and has a developer-oriented feel to it; it also represents what the startup feels is an embodiment of what it stands for. Like how juice can sit in a cask and turn into something as complex as fine wine, Cask’s platform can help developers build intricate applications from arguably simple pieces without coders having to deal with all the details of what is actually going on, he added. In related news, the jetStream stream-processing technology that Cask was working on with AT&T Labs called jetStream will now be known as Tigon and is available as a developer preview as of Thursday. Any move that boost the building of more skilled data professionals is a positive move! According to a recent SAS IDG poll, most organizations need significant help when it comes to building their capabilities. Having open access to tools could lend a hand to development.